Learn the basics of tapestry weaving with a wooden frame loom. 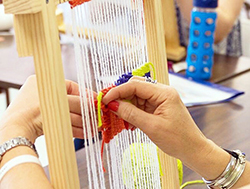 Build your own frame loom, then design and create a woven tapestry fabric. Leave the class with a wall hanging and your own loom!